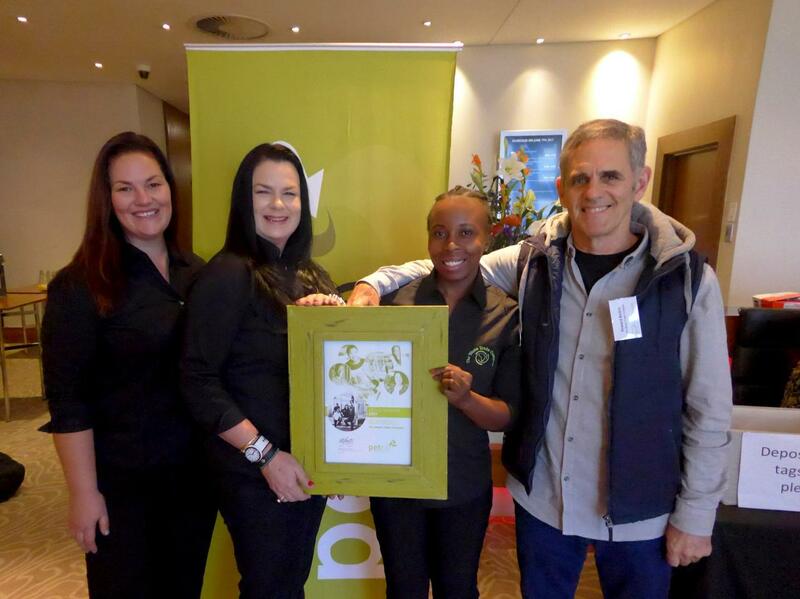 07 June 2017, Sandton - The Waste Trade Company proudly accepted the award for the Best Recycling Public Education Programme in South Africa, presented by PETCO at their Annual General Meeting, hosted in Sandton. Speakers included Cheri Scholtz, PETCO CEO, Dr Casper du Randt, PETCO Chairperson, Janine Basson, PETCO Stakeholder Relations Manager and Tshidi Ramogase, PETCO Vice-Chaiperson. Media Personality, Brent Lindeque, was invited as the guest speaker. Brent is known for pioneering the #changeonething movement and challenged all attendees to embrace the concept of doing good things in their personal and professional capacity. PETCO is a national not-for-profit organization that drives post consumer recycling of PET bottles through voluntary funding from PET industry partners. Their goals include achieving sustainable growth in PET recycling, supporting existing and encouraging new PET collection and recycling networks, and promoting consumer education and awareness programmes. One of the ways in which PETCO achieves these goals is to recognise the efforts of the people, companies and organizations involved in the PET recycling value chain. “We would like to extend our gratitude to everyone who nominated us and to PETCO for awarding us,” said Emmy Nxayeka, Schools Project Coordinator, The Waste Trade Company, “this truly inspires us to work even harder to help our clients increase their recycling volumes. The Waste Trade Company, situated in Port Elizabeth, specializes in Recycling and Waste Management Solutions and The Schools Recycling Project is one of their divisions. The Schools Recycling Project was established in 2009 and has since grown to service 280 clients in Port Elizabeth, Uitenhage, Despatch and the Sundays River Valley and Adelaide. The project provides schools, churches and nonprofit organizations with resources, educational and motivational tools to recycle. Furthermore, they also benefit by receiving a financial rebate for their recyclable material.